Appearance: Shinji is a very tall, lanky man, who can be seen wearing nearly everything that’s black. Just don’t let that fool you, just because he wears everything black, doesn’t make him goth or emo, he just finds it easier to make sure his clothes don’t clash. He also carries a violin, a bow, and a necklace filled with rosin. Bio: Even when he was young, Shinji was mute, and was never able to express his feelings, until he ran into music, and ever since it was Shinji’s dream to become a world renowned musician, and went into a mystical shop to pick out his first instrument. There stood an old man with a snicker on his face, looking at Shinji, knowing that he was the one. He interested Shinji into getting the only violin he had, which looked all tattered and worn out. Shinji had no other choice because that was the only thing he could afford. When he picked up the violin, it began to glow and almost looked brand new. What the old man hadn’t told Shinji, was that the violin was filled with mystical powers that only a chosen one could wield, in order to take out demons from other realms that sought out to destroy the human race. From then on, Shinji and his trusty violin held justice where it was due. 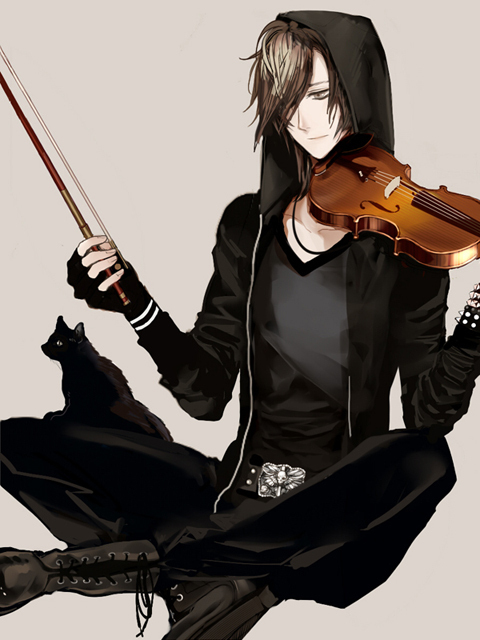 His bow and violin can transform into a sword and a set of armor. This is why Shinji is holding onto rosin, for when he uses it on his bow strings, it sharpens the blade during its transformation. 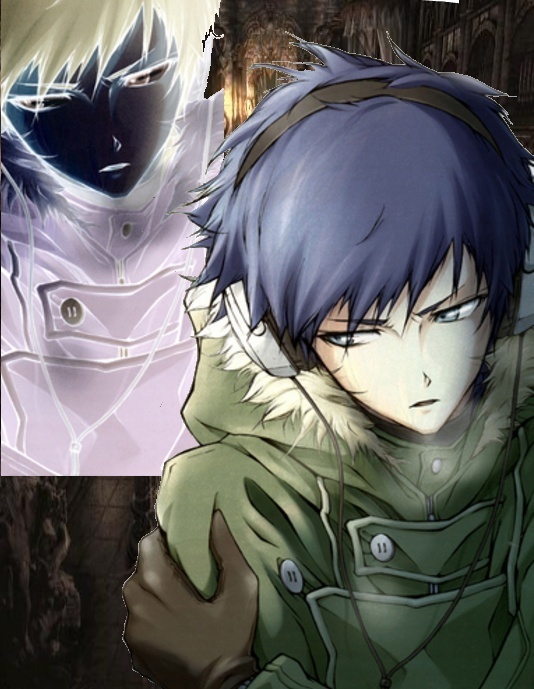 With different tunes learned, Shinji is capable of doing things such teleporting, enhancing his weapon or abilities, and many other things, though it takes anywhere from weeks to years before he is capable of memorizing the tunes. Power: Can turn ethereal temporarily, though only for a short amount of time, as it takes a toll on his actual body. With ethereal powers, he is capable of controlling the weak minded, going through objects, and many other abilities. Personality: Very friendly, doesn't seem to have have any problems with making friends. Also very apathetic, tends to apologize even if it isn't his fault. Accessories: Belt with many clipped on bags for many hidden surprises. 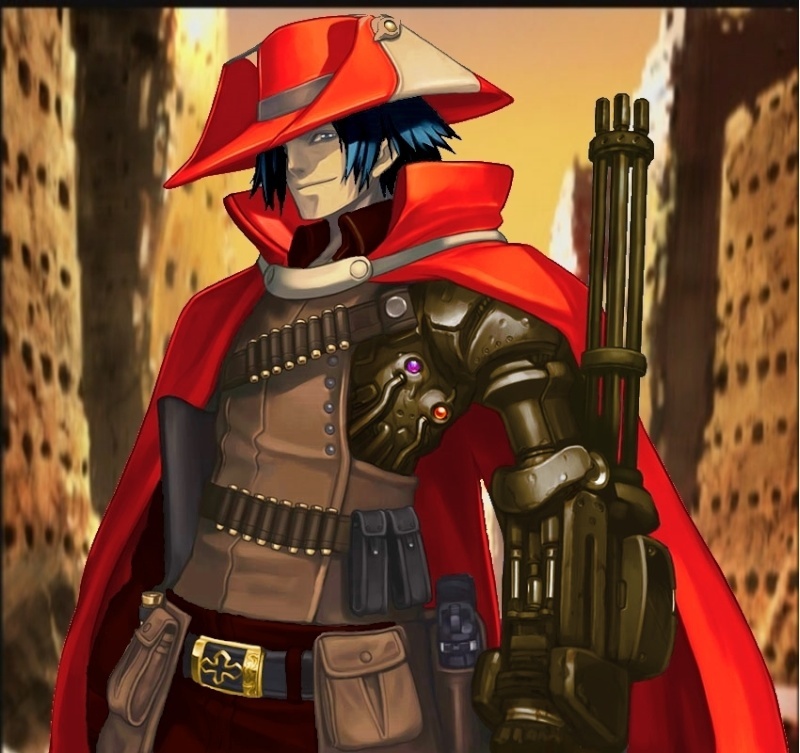 Hunter’s hat and cape, both taken off during battle. Powers: Lloth is able to use perception to his advantage to take down his enemies, when he attacks from afar. With his arm, he is able to block heavier damage that would otherwise break a shield. Bio: Xander, a young scientist at the age of 23 began his research on imitating the regenerative features of a starfish, and finding a way to implement the same process on various metals and other diminishing resources. Slowly finding a beginning prototype, he needed a live subject to test it out on. After a few weeks of trial and error on rats, he began writing up a speech, in an attempt to convince his higher-ups that this needed to move on to human subjects. When denied testing on humans, Xander furiously continued his research, using himself as the test subject. Injecting what he assumed to be the best outcome, yet it would turn out to be the worst decision he ever made. A huge side effect not detected on the rats, hit Xander big time, transforming his blood cells into a metallic-like blood substance. But this wouldn't be the end of it, as it would seem that when enraged, the metal consumes his body and takes on another form. This metallic being has been named Kuebiko, as it seems to take the appearance of a scarecrow. With this new being inside of him, Xander has worked his way into discovering everything he can about his new experiment. Powers: Xander sadly has very minor powers, as his body can transform into some metals, such as gallium or aluminum. Mostly used for avoiding combat altogether. Kuebiko on the other hand, has the ability to take the smallest piece of metal, and transform it into nearly anything, along with transforming it's own body into various metals. Having a high magnetic force when transforming, it can direct the magnetic force it any direction it needs to, making it capable of increasing it's speed, or even levitating by magnetic means, as well as making itself seem heavier or denser than it actually is.